The Residences at PS 186 and Boys & Girls Club of Harlem. Credit: David Sundberg/Esto. 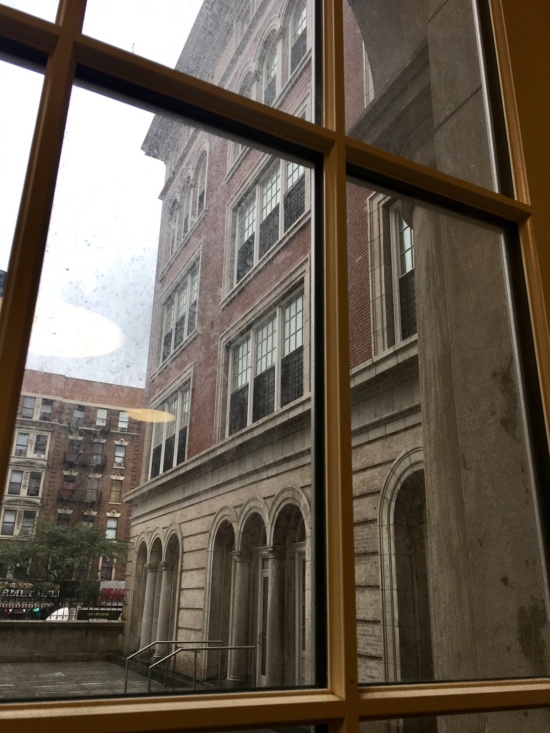 Today Archtober got a tour of the newly renovated Residences at PS 186 and Boys and Girls Club of Harlem from a large team from Dattner Architects. 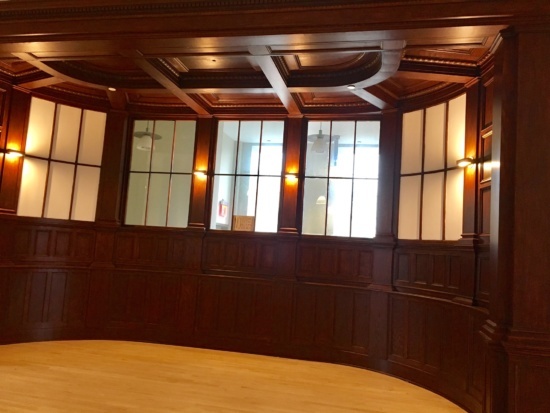 Along with Boys and Girls Club of Harlem Executive Director Dominique R. Jones, they showed how a century-old building was converted for new uses, and how its inclusion of housing can serve as a model for other Boys and Girls Clubs across the country. 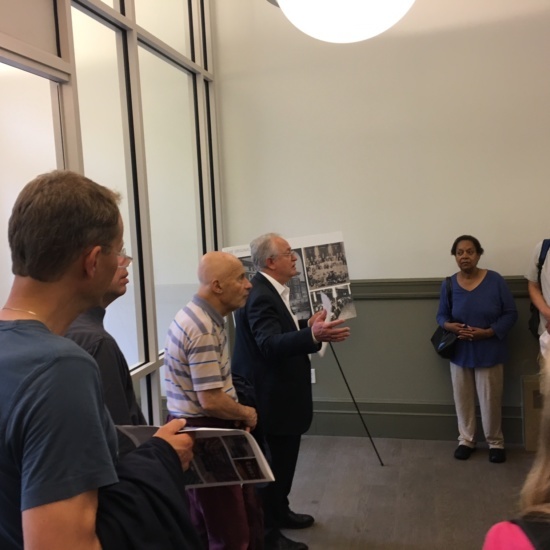 We started in the lobby of the Residences at PS 186, where Dattner Principal Joseph Coppola, AIA, described the building’s history. Built in 1903, it was designed by Charles B. J. Snyder, Superintendent of Buildings for the New York City Board of Education. Snyder directed the Board of Education’s building projects at a time of immense immigration to New York City, and was responsible for scores of school buildings throughout New York, many of them very innovative. His most common motif, as at PS 186, was the H-shape of buildings on “through-lots” bordering two streets. Snyder believed that this kind of plan, which included two courtyards, increased the light and air available to each classroom, as well as providing a natural way to separate boys and girls. 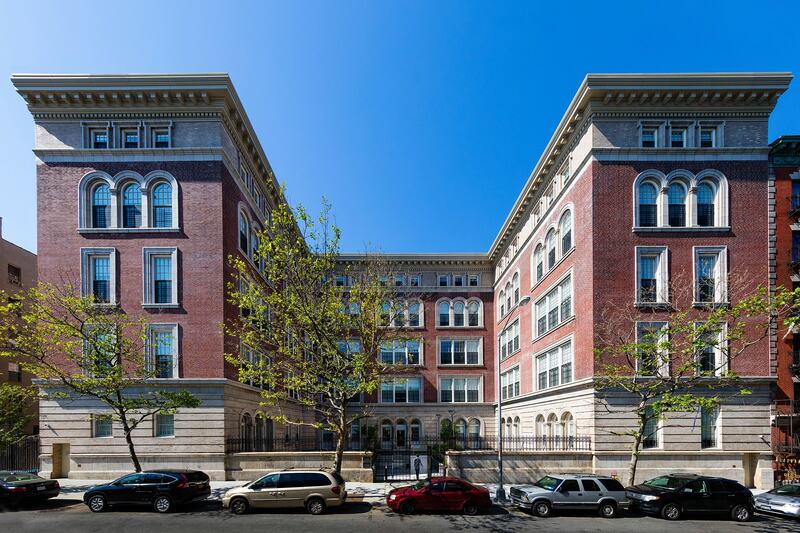 While the schools were in a variety of styles, PS 186 is Italian Renaissance Revival, with stone facing on the ground and fifth floors bracketing the brick façade of the second-fourth floors. The school was in use until 1975, when it had become so dilapidated that it was decreed unsafe. Boys and Girls Club bought it some years later, but it continued to deteriorate until around 2012, when plans began to circulate for a conversion/reuse project. At this time, trees were growing out of windows, and vagrants were squatting in the building. In late 2013, Monadnock Construction bought the building from the Boys and Girls Club, and in 2014 Dattner Architects filed for rezoning to allow a mixed-use project that would include residences and a Boys and Girls Club flagship location. They also applied for listing on the National Register of Historic Places, which, when they were approved, opened up tax credits as well as other preservation funds. Complying with landmark regulations, however, also proved a challenge. The building was listed for the interior elements remaining from the Snyder’s innovative original school design, which were unique in New York. However, these elements were ravaged by the intervening years. As Dattner Senior Associate Kristin Nelson, AIA, explained, the architects frequently had to strip elements, have them completely refurbished, and then put them back in place. They also had to retain the original H-shaped floorplan. On the ground floor, the residential lobby on 146th Street takes up the northern half of the H and the Boys and Girls Club the southern half. Floors two through five contain the 79 residential units. The residential floors have a unifying color scheme in gray and light green, which are based on approximations of the original colors. The stair’s railings and metalwork were refurbished and reused, while items such as light fixtures are new but in tune with what might have been used at the time. The fourth floor houses the principal’s platform, a central podium with intricate wood wall and ceiling panels. This amazing element had been torched and required extensive renovation. Now, it once again unifies the light, airy common space. Residences are assigned by lottery, and they are all currently occupied, but images show simple spaces bathed in natural light. 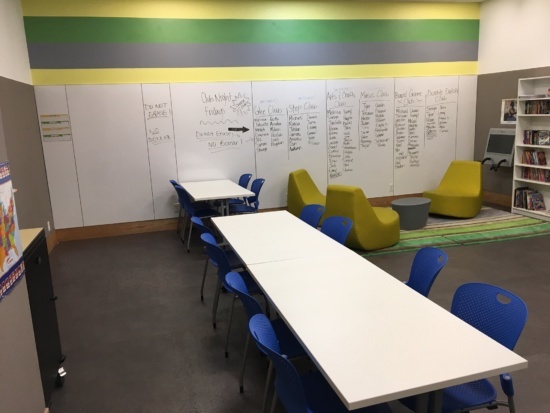 Our tour ended in the Boys and Girls Club, where Dattner Senior Associate and Director of Interiors Sara Agrest AIA, IIDA, LEED AP, elaborated on working with the Boys and Girls Club to create a design that served a wide range of programming and administrative needs. The Club holds year-round programming at the location, primarily in after-school programs until the fifth grade, but also offers a safe, welcoming work and lounge space for teenagers. To that end, rooms range from the teen lounge to activity rooms for younger children to the computer lab and a planned music lab. The interior design integrates the Boys and Girls Club’s national brand with elements specific to Harlem’s vibrant community. As a special treat, we also got to hear from the Club’s executive director Dominique R. Jones, who described how Dattner worked closely with the Club to program the space and provide the necessary tools. Jones explained that, since there wasn’t enough room to accommodate the athletic facilities traditionally found in a Boys and Girls Club, the design team and client had to come up with a new paradigm for the space, integrating design and programming. For instance, the Club can now run extensive STEM programs, which not only benefit participants but also allow for government funding. And connections are starting to emerge between residents and Club attendees. As Jones pointed out, this project can serve as a model for integrating Boys and Girls Clubs with other uses, be they residential, commercial or otherwise. Without a doubt, it is a model worth replicating.